Miami officials are preparing to study the feasibility of the city itself managing its Virginia Key marinas. This comes in the wake of contentious bidding that had three companies fighting each other and the city over the right to build and maintain marinas on the barrier island. Immediately after that vote, Mr. Gort made a motion to direct the administration to consider the city itself operating the Virginia Key marinas. It passed unanimously. In rejecting the request for proposals issued in June 2015, the commission followed the recommendation of the fledgling Virginia Key Advisory Board. The advisory board on Monday discussed the fallout from the request for proposals, which some critics claimed ignored the 2010 Virginia Key Master Plan and encouraged too much commercial development. Daniel Rotenberg, head of the Department of Real Estate Asset Management, is a non-voting member of the advisory board. Fellow board members asked him about the status of a new request for proposals. Mr. Rotenberg encouraged the advisory board members to have input in crafting a new request for proposals and said the city has already taken steps to begin a feasibility study of city-operated marinas on the key. 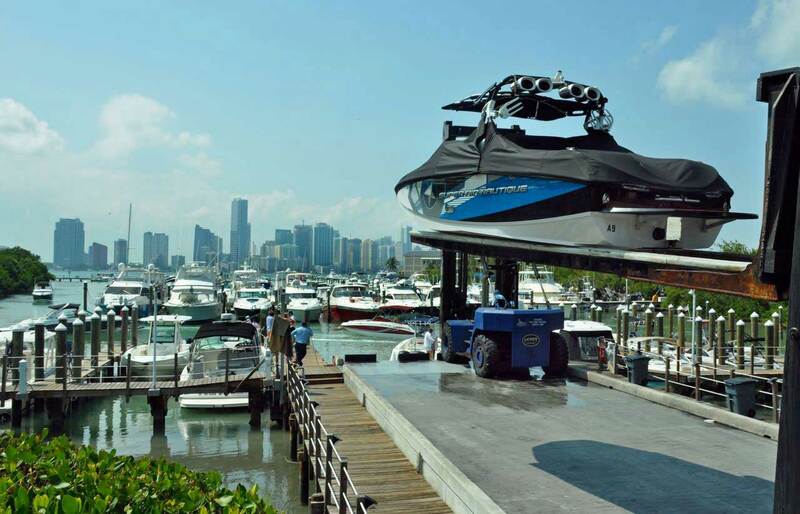 The city now manages the largest wet slip marine facility in Florida, 582-slip Dinner Key Marina, and an adjacent 225-vessel mooring facility in Biscayne Bay. The city also operates Miamarina at Bayside and Marine Stadium Marina. Mr. Rotenberg said city staff has asked two companies for prices to conduct the feasibility study. The city owns most of the barrier island. A private firm operates the marina that fills the smaller basin northwest of the abandoned Marine Stadium and the city wants a new operator. On June 15, 2015, the city requested proposals to build, manage and operate a mixed-use waterfront facility including two marinas, a boatyard, dock master’s office, ship’s store, dry storage, wet slip docks and at least one restaurant. Three companies submitted proposals. After evaluation by a selection committee, Virginia Key LLC, also known as RCI Group, was chosen. The second and third place bidders filed bid protests that the city commission rejected. In the end, Mr. Russell followed through on his earlier motion to reject the request for proposals and begin from square one, stating that the process was flawed from the start. I remember in the 1980’s when both Dinner Key and the Miami Marina at Bayside were both run by separate private companies, at the same time. There was a scandal. It was reported, in the Miami Herald, that some of the other principles were lawyers and booked a lot of time and expenses to their firms in order to substantially lower the bottom line profits of the Company….thus paying the City a meager amount for the concession/lease. Monty Trainer sold/subleased his lease on city waterfront property in Coconut Grove when he was convicted for tax evasion and sent to Federal prison. The profits for the City suffered for many years. The City lease was based on a percentage of what Monty profited, not what the business profited. It was quoted in the Miami Herald at that time, by the City officials, “Oops!”. There is another issue with the Boundary in the bid. The City Manager can not be trusted with his explanation. He said to me that the large basin area is needed for the boats to come in and out of the area. The RCI lawyer let it slip when he last spoke that they planed a Mooring Field. Note: that would restrict the boat races. The RCI lawyer let it slip when he last spoke, that the added slips would pay the City $200,000 while the profit to them would be $3 million for just those 151 slips in the Basin. How many more YEARS will this take?